There’s no getting around it. Cleaning a fish tank is hard work! That’s why Fish Geeks offers professional aquarium cleaning. Sit back and enjoy the beauty of your aquarium and let Fish Geeks do the dirty work. We arrive on a timely manner at your home or office for your professional aquarium cleaning. In addition, we’ll assess your system and offer our expert aquarium advice on the ways you can improve your aquarium. 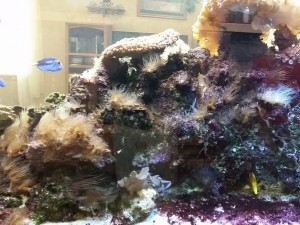 Read on to learn more about how a Fish Geeks professional aquarium cleaning can help you. Reducing algae growth is never an easy task. More than just reducing nutrient levels, Fish Geeks can consult with you on the various methods you employ during everyday aquarium-related tasks, and how they impact the rate of algae growth. Fish Geeks can also assess your system, and recommend improvements in configuration or device additions that might help you eradicate algae from your system. The goal is to reduce the rate of algae growth, which can be tied to a number of factors that you control, while you fight the algae with scrubbing and elbow grease. A professional aquarium cleaning can help immensely in your fight against algae… it will certainly make it easier…but ultimately the goal will be to reduce the rate at which nutrients accumulate in your system. Reduced algae growth and a cleaner aquarium system. 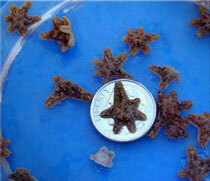 Increased rates of calcification leading to healthier corals. Proliferation of coralline algae in your reef system. As with anything, prevention is more important than the remedy or cure. 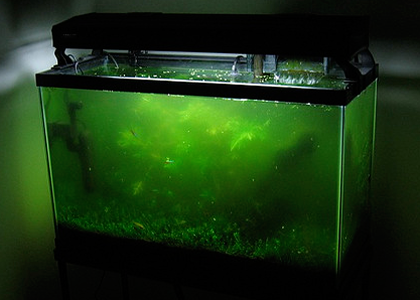 If you set up and operate your aquarium in ways that minimize the rate at which nutrients (algae fertilizer) accumulates in your system, you will assuredly see less algae as a direct result. Get algae within your control! 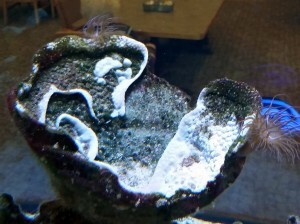 Learn more about how a professional aquarium cleaning can reduce your algae growth today, contact us today. Stop paying for this nonsense! Often over-looked as “cute”, these Tribble-like Asterina sea stars can reach plague proportions in a short time in your tank. 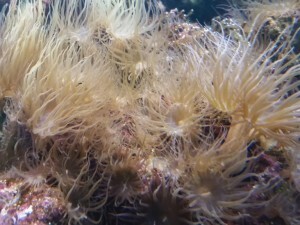 Aiptasia and Majano anemones are not only unsightly, but they represent a real threat to the other organisms in your tank. Call Fish Geeks today to discuss how a professional aquarium cleaning can help you eradicate these pests from your system forever! 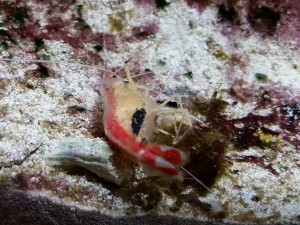 There are multiple options are at your disposal for these common aquarium pests.